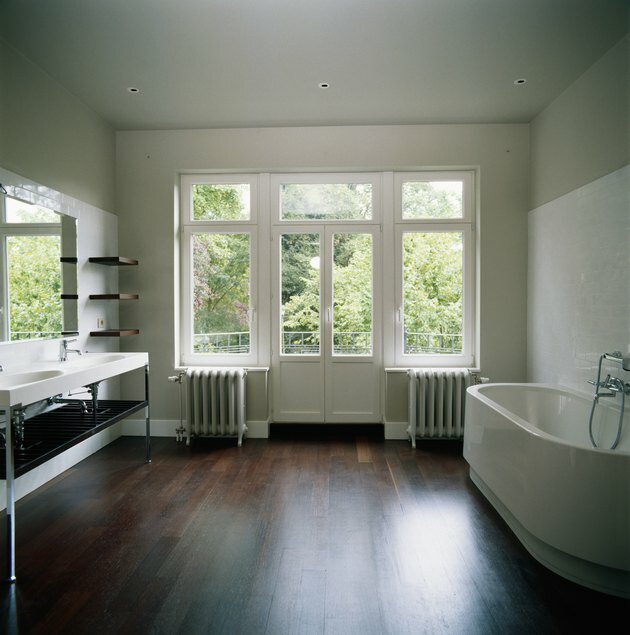 The cost of adding a new bathroom or remodeling an existing one will depend on budget and need. According to the Remodeling Cost vs. Value Report 2008-09, published by Remodeling Magazine, the national average for a mid-range bathroom addition (full finished 6-by-8-foot bathroom with marble vanity, chrome faucets, ceramic tile and electrical wiring to code) addition is $38,078, with 63.5 percent of the cost recouped. The national average for a mid-range bathroom remodel (to update existing 5-by-7-foot bathroom replacing all fixtures and floor and wall treatments) is $15,899, with 74.6 percent of the cost recouped. Upscale remodels cost more for similar cost recoup. Avoid over improving for the area by checking with local realtors on market trends and similar properties. 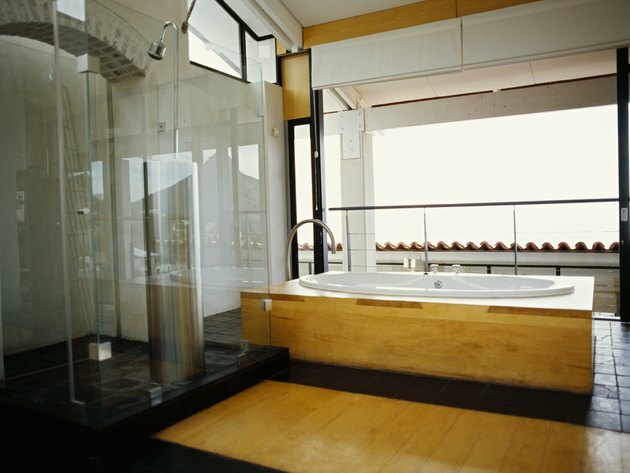 Two main reasons to remodel a bathroom are to improve a home's value and to improve livability. 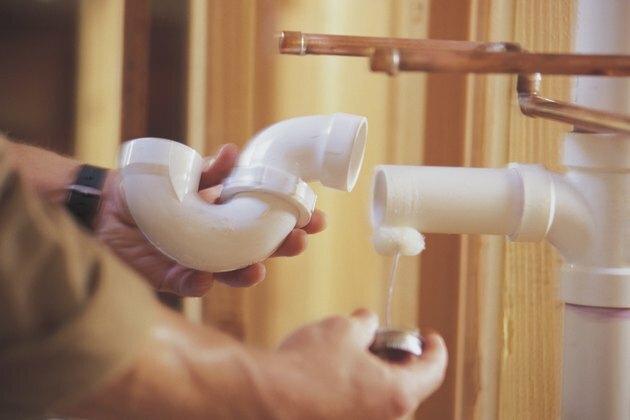 Working plumbing is important to health, hygiene and sanitation, and required to meet building codes for ownership and residency, so if the plumbing is not functional or has serious problems, fixing or upgrading is a necessity. 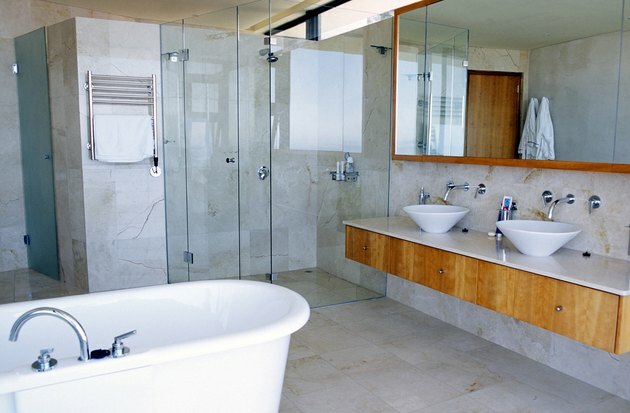 If the bathroom environment is merely shabby and outdated, redecorating or remodeling for preference is a choice. 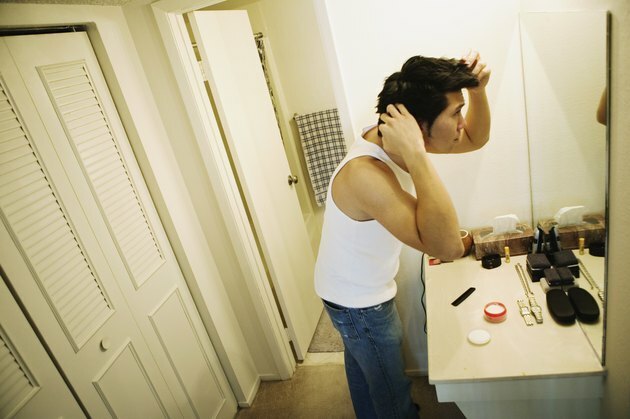 If the bathroom is both nonfunctional and unappealing, and selling is the goal, a demolition and remodel are needed. 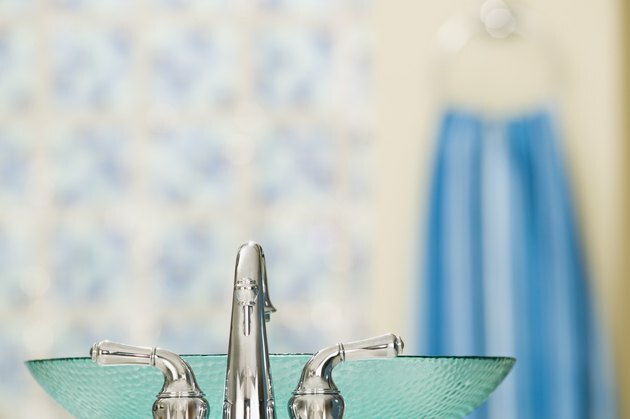 A comfortable, working bathroom is a necessity, and a more nicely appointed bathroom with upscale or luxury features can be a selling point for resale. Major expenses in bathroom remodel projects include cabinets and counter tops, plumbing, light fixtures and electrical work, flooring, drywall and tiling, shower and tub treatments, and contractors' time and labor. Many of these can be controlled with comparison shopping for materials and do-it-yourself labor. Professional help will most likely be needed in the areas of plumbing and electrical work, but decorating, wall treatments and even flooring are within the range of many homeowners' abilities and can save considerable money. Finishing an unpainted or wallpapered, undecorated bathroom is within the scope of many homeowners. Cabinet hardware, mirrors, towel racks, window treatments, painting walls and ceilings, possibly even installing simple light fixtures to finish the room are all detail work that a contractor will charge to do. If the project is planned in stages, with major professional work done first and minor finishing work done by the homeowner, successful cost control is possible. Finding an experienced, trustworthy contractor for a bathroom addition or remodel can be challenging. Start the search by talking to friends, relatives, neighbors and co-workers for recommendations on local contractors they may know and trust. Then request a written estimate from three to five referred contractors, checking their business credentials with the local Better Business Bureau, asking to see their business licenses and certificates of insurance, and thoroughly interviewing them about their company policies and procedures concerning costs, customer service and payment requirements. Make a selection only after comparing referrals, written estimates and business practices. 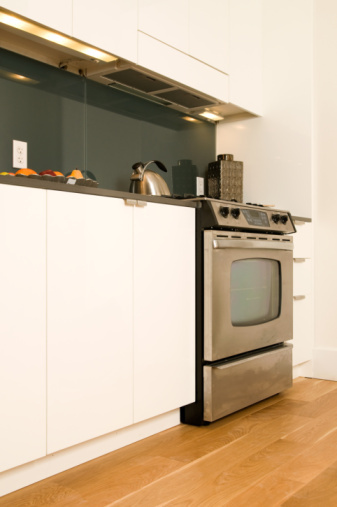 Some renovation work can be financed with the purchase of the home. The best way to pay for a home improvement project is to use money that has been saved up and is free to spend on the project. But if there's a sudden unplanned need for repairs and improvements, sources of financing can come from home equity lines of credit with low interest rates and special bank financing offers. Avoid using high interest credit cards unless a quick payoff is possible. If the remodel is a total do-it-yourself project, purchasing materials as needed over time while completing the work is an economical way to pay. Heidi Cardenas specializes in human resources, business and personal finance, small-business advice, home and garden and home improvement. Her professional background includes human resources and business administration, technical writing and corporate communications. She has studied horticulture and business administration, and enjoys guest blogging for publications including Herb Companion Magazine, Natural Home Living Magazine, and Mother Earth Living.